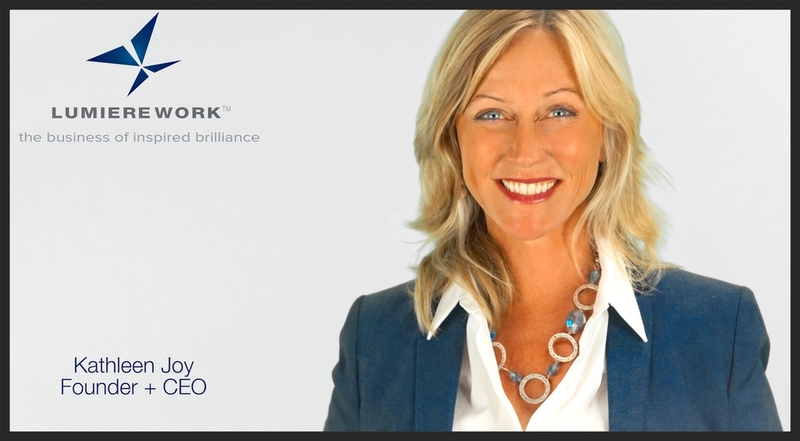 LumiereWork has helped hundreds of executives who need to find a new level of competency, passion and/or plan for organizational, personal, leadership or succession challenges. Case Study: A Chinese female marketing executive in a mid-size US based company being groomed for C-suite. Challenge: To establish authentic and congruent credibility and presence in the face of cultural, gender and cognitive preferences and differences. Inspired Outcome: Promoted to global management position with tripled budget and personnel responsibilities. Attending and contributing to some strategic C-suite discussions, succession and development plan in place for further promotion in 2 years. Case Study: Senior executive in sales organization promoted to general manager of major division. Challenge: To shed the persona of the ‘sales guy’ and establish self as a strategic and charismatic thought leader. Inspired Outcome: Strengthened areas of brilliance needed for the new role and new audience resulting in better communication, trust and confidence from peers and staff in the new direction. Case Study: A team of three senior leaders whose roles and staffs were historically and organizationally at contrasting odds, and one of the 3 leaders was a new hire. Challenge: Assimilate and set up the new leader for success while redefining and reseting the norms for all three individuals and departments involved. Inspired Outcomes: Focused on core desires and mission of each individual along with a clear understanding of how each functioned best brought about a trusting communication pattern and protocol. This new pattern helped them not only solve problems quickly together, but also changed the expectations and behaviors of those who worked for them to a more collaborative manner. Case Study: A senior leader in his late 40’s managing teams consisting of mostly millennials. Challenge: A way to set, manage and meet job and personal expectations so all were highly productive, finding meaning and adding to the value of the enterprise and each other. Inspired Outcome: Through various practices and shared understanding with increased awareness both the leader and teams are now able to quickly predict when issues may escalate and intervene quickly. Kathi Joy and her team leverage tested transformational arts and breakthrough methodologies to inspire bold new levels of personal and organizational brilliance to support leaders, teams and companies! LumiereWork Brilliance Can Be Yours. Sign up to receive updates. Thank you! We always respect your privacy, unsubscribe as needed. Thank you and check your email inbox for updates from LumiereWork.